A gathering of the guys! 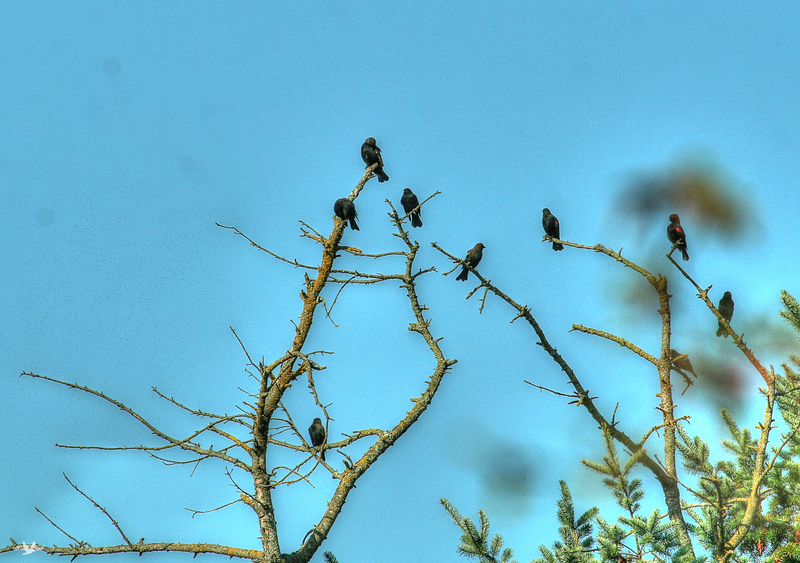 Red-winged Blackbirds that is. Probably discussing the best route south! This entry was posted on 2015/10/05 by Robin. It was filed under Birds and was tagged with B.C., Ladner, Old dead tree, Perched, Reifel.